the stats: letterpress printing. Moab Entrada Rag Natural 300 (white). 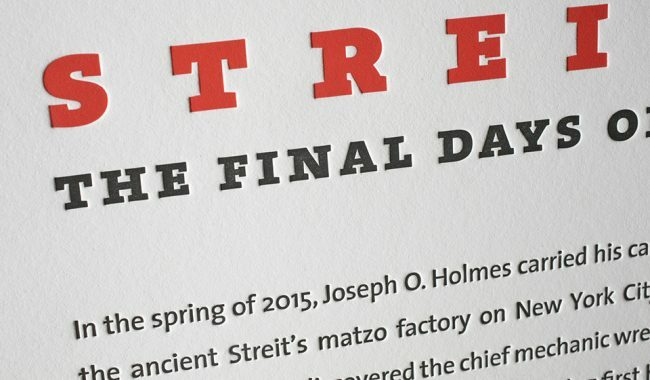 2 letterpress inks (bright red + black). 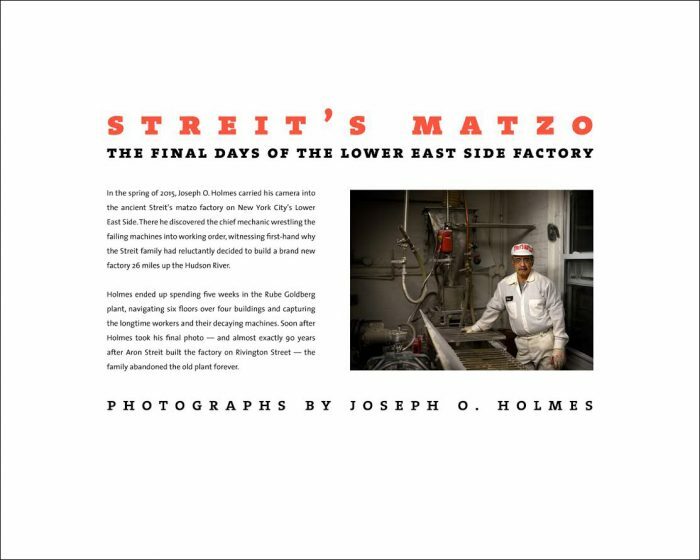 printed on our Heidelberg SBB. 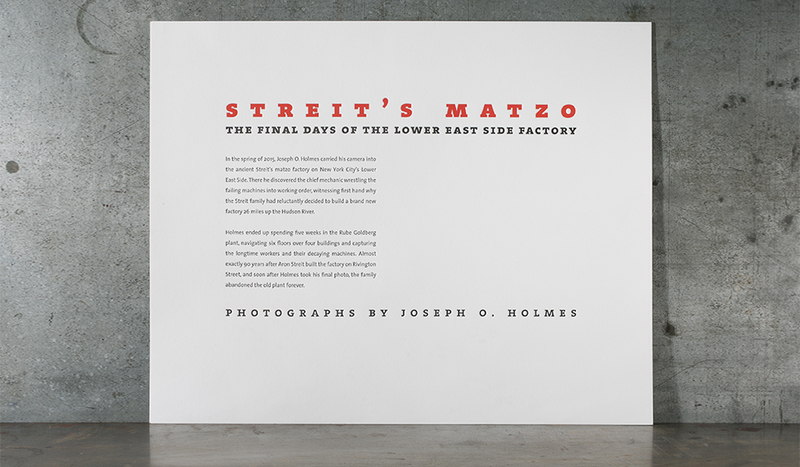 the piece: We were tasked with helping to immortalize a Lower East Side Factory by letterpress printing these large art prints (16 x 20). These amazing prints were done in 2 color letterpress and were sent to Joe to put the finishing touch with the addition of a digital photograph. 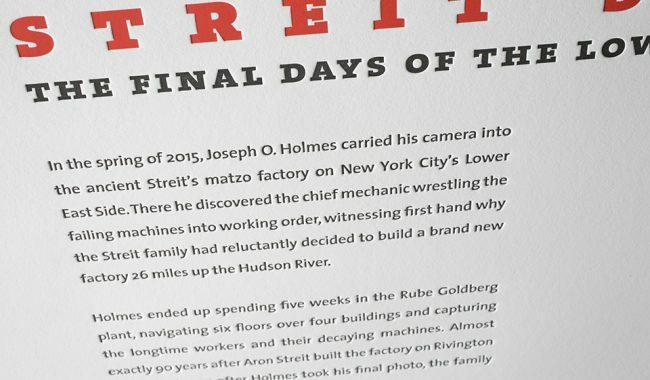 It was such a pleasure to be a part of this project to memorialize the Streit’s family’s hard work and great history.